This three-part food gardening class series is offered for free at host sites located in communities facing health disparities and food insecurity. The classes cover the basics of starting and caring for a food garden, including sun and soil needs, growing seasons, planting techniques, container gardening, organic pest control, and composting. The curriculum and class structure emphasize participatory, hands-on learning, and students spend half of each class outside working in and observing food gardens. Classes are offered in English or Spanish. 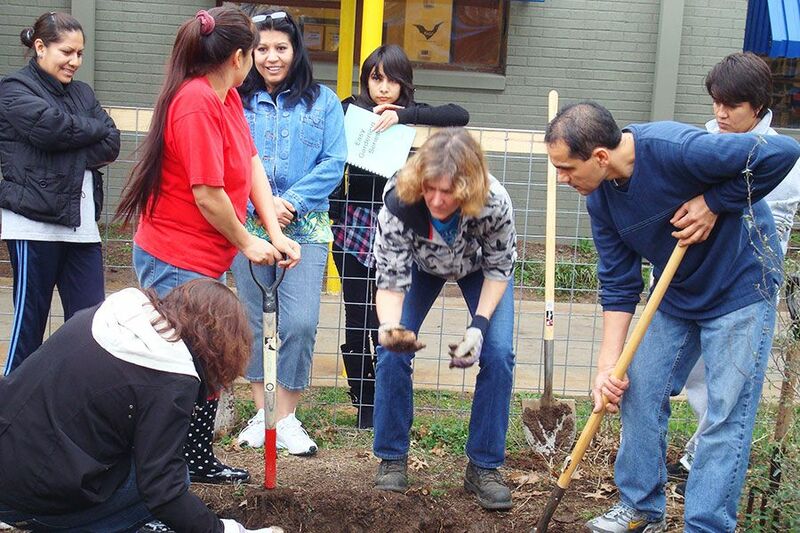 Grow Local uses trained Facilitators to deliver its gardening classes throughout the community. All Facilitators have at least five years of organic food gardening experience and a least two years of experience growing food in Central Texas. Trainees undergo 6 hours of Facilitator Training Classes, after which they are paired with experienced Facilitators to conduct their first gardening classes as assistants. This peer model gives new trainees self-confidence and knowledge as they learn to deliver the classes from their peer mentors. Grow Local currently has over 20 English and Spanish speaking trained Facilitators that conduct classes and workshops in the Austin area. The Program offers new trainings once a year, or as needed.